As a marine biologist I had the great opportunity to participate in a research cruise on PS Polarstern in the Antarctic Ocean. Even an icebreaker can be stucked in the ice. These circumstances provided me with the wonderful possibility to observe penguins undisturbed in their natural environment. They are often described as clumsy and ungainly, which is definitely the case! 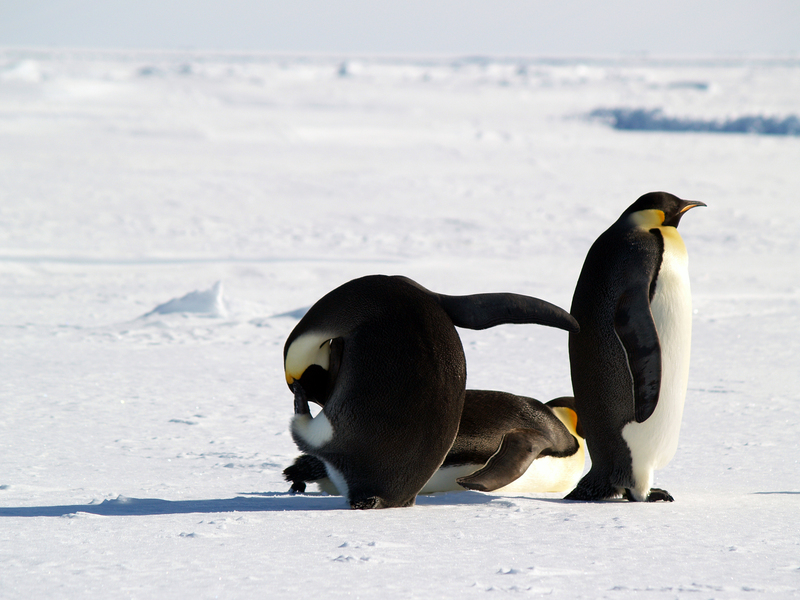 However, the emperor penguins on this image perfectly demonstrated how graceful and elegant they can be.